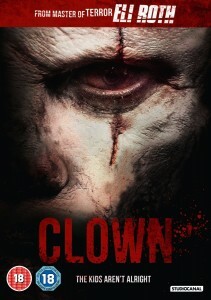 Seeing the name Eli Roth attached to a film is usually a cast-iron guarantee that you’re about to be invited to ninety minutes of splattertastic mayhem and viscera drenched carnage, and while ‘Clown’ delivers both in abundance, it’s also an intelligent and cerebral dissection, and study, of the mass psychosis, and innate fear, that surrounds clowns. It’s a shocking, brutal and tragic carnival of murder, death and torture (both physical and emotional) that haunts your dreams long after the laughter has faded, that burns it’s plot and imagery deep into your subconscious and having been exposed to its dark magic, makes sure that you every time you see a red nose you’ll feel a shiver run down your spine, as you recall the fate that befell Kent and Dummo. 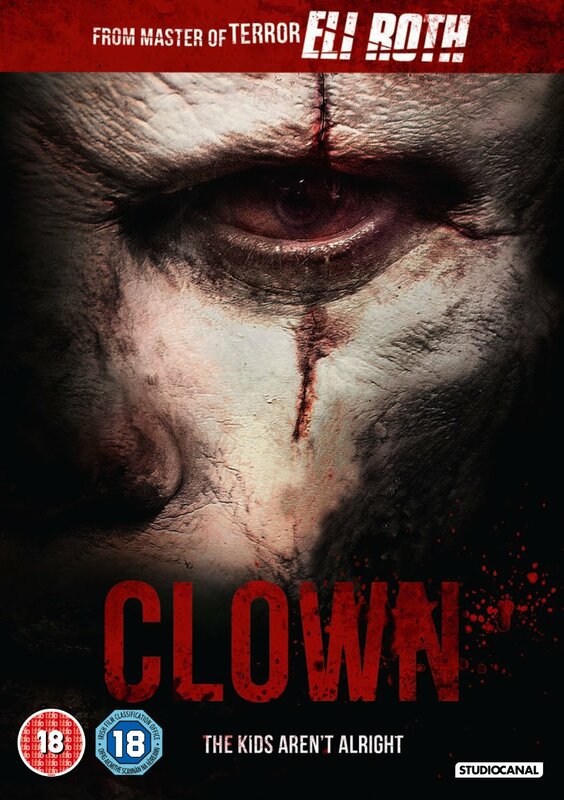 After the clown hired to entertain his son’s birthday party lets him down at the last minute, Kent (Andy Powers), a successful estate agent, after finding an old clown costume in the basement of house he’s selling, decides to step into the breach and, donning the costume, becomes ‘Dummo’, much to amusement of his son and his friends. Which is where Kent’s troubles begin, because once he puts the costume on, he can’t take it off, no matter how hard he tries. Slowly, but surely, the costume, which is so much more than just an old suit, begins to consume Kent’s mind, spirit and body, twisting and turning him into something ancient, something terrible and something with terrible hunger, hunger that needs to be sated, a hunger that even death can’t stop. As time begins to run out for Kent, both he and his family discover the horrific truth about the outfit he ‘borrowed’ and the history of the merry-making, rosy cheeked party favourites and the reason why we’re all so frightened of them.